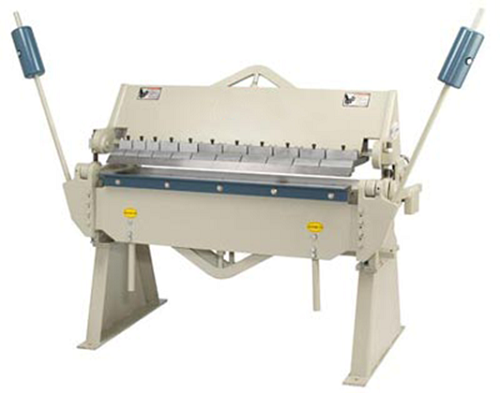 It is the most common type among various press brakes, also been called sheet metal brake. 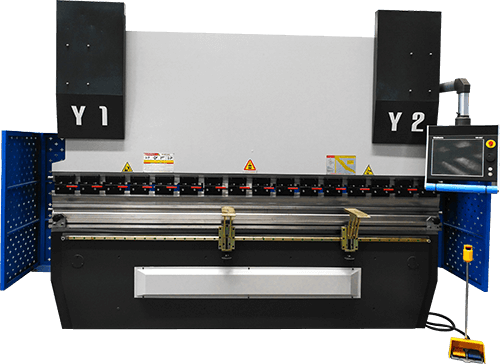 Manual press brakes are required to adjust the bending dimensions and angles manually when used. It contains worktable, supporters, and the clamping plate. The worktable is mounted on the supporters, which consists of a base and a pressure plate. 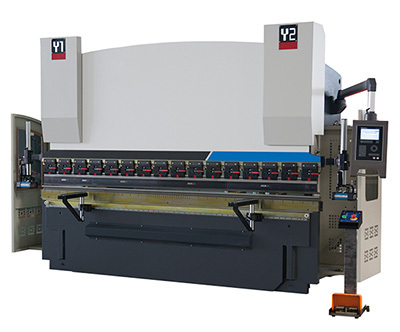 Manual press brakes are much more complex in operation than other types of press brakes, therefore, it is necessary to make mass production after confirming bending size and bending angles. When finished one batch of mass production, adjusting bending size and bending angles for continued production. 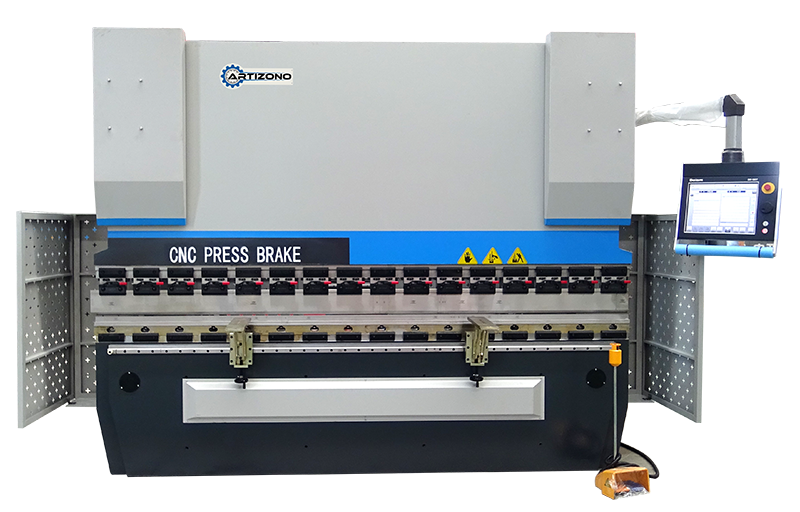 CNC press brake realize bending function by controlling slider stroke and back gauge. 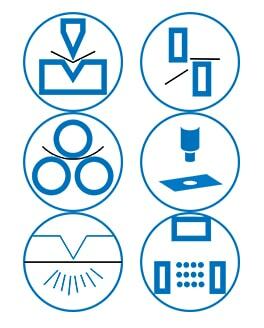 When using CNC press brake, you only need to input the pieces number of the workpiece which required for bending as well as bending angle for each step, the CNC press brake will finish bending according to the steps you just set in the controller. 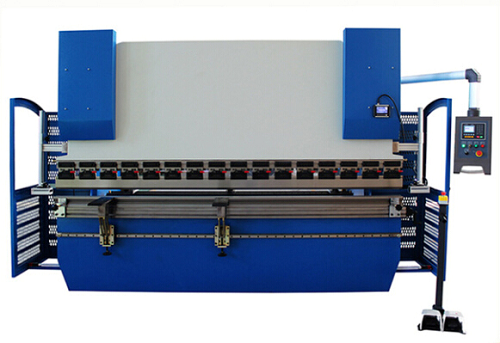 Advanced CNC press brake mainly adopts hydro-electric servo system and grating ruler to form closed-loop control. It features high control accuracy, as well as bending accuracy and repositioning accuracy. CNC press brake using electro-hydraulic servo system to control the two-cylinder synchronization. With the international standard grating ruler realize the full closed-loop control. It featured high precision synchronization, high bending accuracy, high repeat positioning accuracy. Equipped with hydraulic automatic clamp or fast clamp for the upper die, and socket lower die based on customer’s requirement to reduce the labor intensity and improve production efficiency. The back gauge of CNC press brakes can be extended to six axis. The crowning is automatically adjusted by the controller, which is convenient and accurate. Equipped with Germany Bosch – Rexroth valve block, linear motion guide and ball screw manufactured by BLIS, Taiwan HIWIN or other international companies to ensure that the positioning accuracy. The separated upper die which is in different lengths can be assembled into a certain width according to the requirements of the workpiece in order to meet the special needs of the fabrication. Automatic cylinder crowning system overcomes the impact on the workpiece quality caused by ram deformation, to ensure the good straightness and bending angle of the final products.